What’s better than a beautiful summer night, watching your hometown Nats with a hot dog in one hand and a beer in the other? How about choosing to go on one of the Nats' promo nights!? On promo nights, the Nationals offer some amazing opportunities for fans before, during, and after the games. These promotions include post-game concerts, different ethnicity heritage days, or a free collectible item. Every season, the Nationals have various promo nights where they offer collectible items such as bobbleheads, jerseys or hoodies, hats, and even a swim cap for Nationals Swim Night. They give these items to fans ahead of the game in quantities of anywhere from 5,000 to 25,000, so make sure to head to the game early! Bobbleheads of favorite players are usually the hottest commodity for the giveaways -- for example, this year a bobblehead of Max Scherzer holding his back-to-back Cy Young awards was offered to fans. A fan favorite, the racing presidents also make an appearance on the collectible schedule, from time to time! But the promotions are not limited to tangible collectibles. Different ethnicity theme nights are held to celebrate local cultures and donate money to local organizations. In addition, the Nationals offer specific tickets that can allow various perks, such going on the field for batting practice or a pregame picnic. A great way for college students to score cheap seats is to check for the several college theme nights that are offered throughout the season! They are offered to alumni, students, parents, faculty, and fans with the opportunity to get a collectible such as a hat with the college and Nationals logo on it. 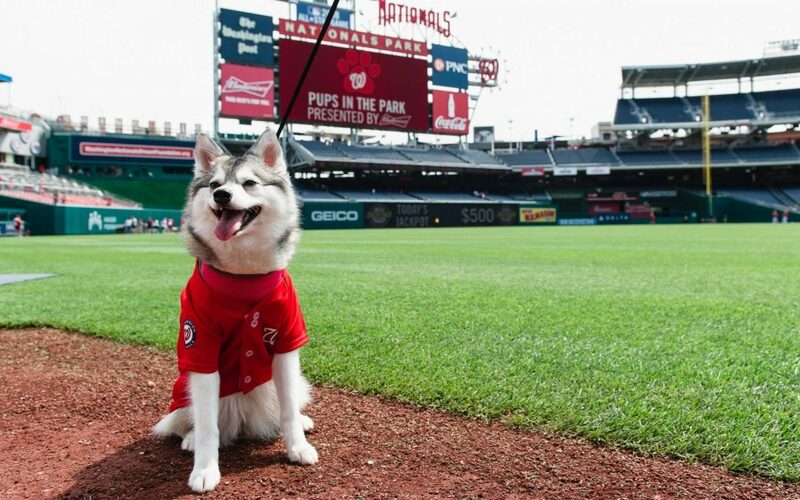 I admit that I'm partial to one Nationals Park promotion in particular, and that is Pups in the Park. In 2018, there are six Pups in the Park events scheduled throughout the season. 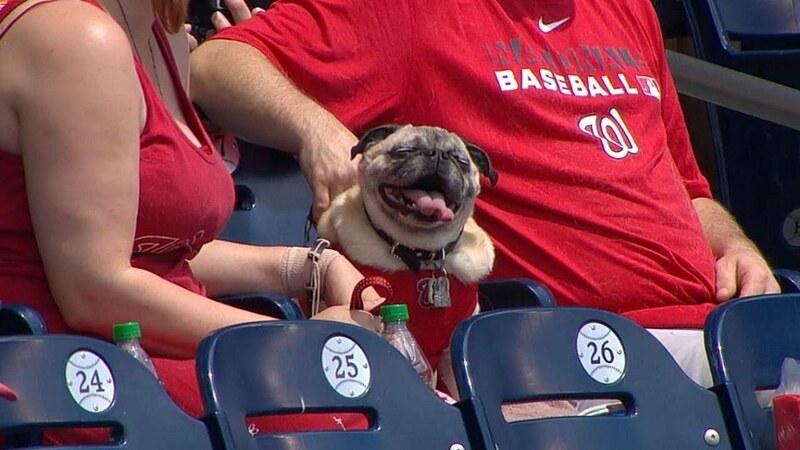 The event is a great opportunity to bring your dog to a Nationals game. You purchase a human ticket and a dog ticket and get to sit with other dog lovers in an outfield section of the ballpark. Dogs are allowed to walk with you throughout the stadium as well! Fans who don't have a dog still get the perk of getting to pet four-legged friends while watching the game. Mon., Tues., Wed., Sept. 24–26 | Teddy’s Garage Sale -- A three-day garage sale event featuring a unique opportunity for fans to collect giveaway items from 2018 and previous seasons. Each special ticket purchased includes a voucher valid for your choice of one giveaway item. What was your favorite of the Nationals promo nights this year? What was your favorite giveaway? Tell us in the comments below! Here's your guide to a day of fun at Nationals Park!